This weekend the Texas Legislature approved HB 2741, a vehicle licensing bill that included a provision to increase penalties on trucks that are hauling overweight loads on our roadways. The House voted 135-9 to approve this measure after differences between House and Senate versions of the bill were ironed out in a conference committee. The Senate approved the measure as well, but the recorded vote is not available as of this publication. All that is missing now for our roadways to become a little bit safer is for Governor Rick Perry to apply his signature. Currently the law on overloading trucks is hardly even a slight deterrent to those who wish to cheat the system to gain an unfair business advantage by carrying overweight loads. The average fine for violation of existing law is less than what you and I would pay for a speeding ticket - about $150. Under the new law, there is a sliding scale of penalties that range up to $10,000 for the first offense. These fines are doubled on the 3rd offense. The bill also includes fines for trucking companies with repeat offenses, and in some cases, for shippers who are demanding heavy loads be carried. Overloaded trucks are destroying roadways in Texas at a record rate. Roads that are designed to last twenty to thirty years are being turned to rubble in five to ten years. In addition to the huge maintenance expense, these damaged roads are a massive safety hazard causing damage to other vehicles, accidents and even fatalities. Often accidents are also caused by drivers not being able to control the overloaded trucks in an emergency situation leading to increased highway deaths. This is why it is so important for Gov. Perry to sign this bill into law. It has been an interesting process, watching this series of bills make their way into its final form and passage. I am reminded of what someone once said about the making of sausage. You can enjoy eating it, but you do not want to watch how they make it. In a bill like this, there are many competing interests who are looking out for their own well-being. County governments want money for road repairs as does TXDOT. At the same time, the many areas of the trucking industry want to protect their ability to do the vital job of hauling our nation's goods to market. Taxpayers want their investment in our roadways to be protected and drivers want safe roadways so they and their families can drive safely. Many of these interests are mutually exclusive and negotiations can be difficult. Of course, the trucking industry is not monolithic in its wants and needs either. There are oil company truck companies, logging trucks, garbage haulers, milk and other ag related trucks, ready mix trucks and dump trucks. Trying to keep all of these competing interests happy is a very difficult task for legislators in drafting a final solution like the one passed. 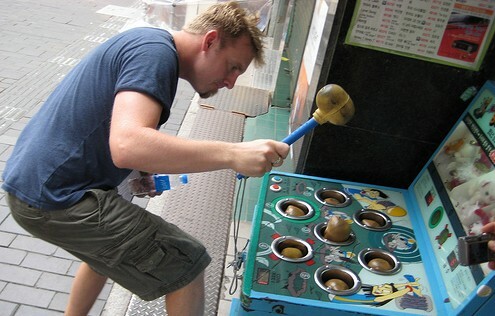 It brings to mind, the game of Whack-A-Mole. As soon as you get ready mix companies happy, up pops the oil industry. Satisfy them and up pops logging companies. Make them happy and county governments pop up looking for their money. Then taxpayers start yelling for enforcement and safety on the roadways. As each mole pops up, they must be dealt with and brought on board. In some cases the bill was made stronger. In others it was diluted. It took a great team of legislators working long hours to bring this bill to passage. Initial legislative drafts were introduced by Representativies Allen Fletcher (R-Cypress), George Lavender (R-Texarkana), James White (R-Woodville) and Senator Robert Nichols (R-Jacksonville). House Transportation Committee Chairman Larry Phillips (R-Sherman) also played a crucial role in ushering this bill through the jungle of the legislative process. As the session was winding down to its final days, it appeared we might not be able to bring it together and get a bill passed. But then, Senator Tommy Williams (R-The Woodlands) threw down the gauntlet from the senate and passed an amendment to a budgetary funding bill that tied the money being allocated for road maintenance to the passage of the increased fines in this bill. Without this bill's passage, the nearly half a billion dollars allocated to road maintenance would have been stripped from transportation and given to social services programs. Suddenly things started moving forward again. From time to time it still appeared the entire bill might die, but in the end a bill was passed that is better than the current situation. It is by no means a perfect solution, but it moves the ball forward and deals with an important issue while making our roads a little safer and protecting the investment of tax dollars in infrastructure. All that remains is for Governor Perry to make this into law. It is up to you to let the Governor's office know this bill is good for Texas and good for Texans. 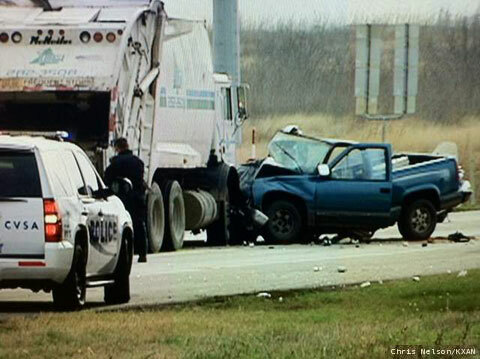 Call or write Governor Perry and ask him to protect our roadways by signing this bill into law.